When buying a new car, there can be a lot of room between the Manufacturer's Suggested Retail Price (MSRP) and the out the door price the dealer is actually willing to agree to. If you know the right approach and questions to ask, you will leave the showroom with a new vehicle at the best price and a smile -- and vehicle -- that lasts for a long time. Why Does the MSRP Matter? The MSRP is a number the manufacturer sets and dealers use as a figure to start new vehicle price negotiations. What many consumers don't know is that there are thousands of dollars of wiggle room built in between the MSRP and the final price of the car. 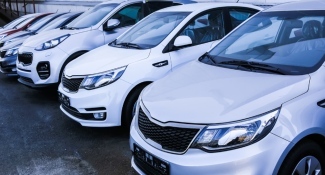 Some dealers may include several fees and costs to increase their profit on new cars, or just pad the invoice price itself (after all, dealerships are businesses that need to make money to survive). Additional fees are often part of the cost of purchasing a new car. Sales tax, registration fees, tire recycling, and documentation fees are unavoidable expenses you should expect to pay. However, be aware of other costs that seem unnecessary and aren't easily explained. Here's a look at some of the fees you may see on a vehicle's price sheet. Sales tax is included in your out the door price or OTD price. If you're shopping out of state, the sales tax is based on the tax in the state in which you register your new car, not the state in which you buy it. Keep in mind that generally, states charge sales tax on the total purchase figure, even if you have a cash rebate or other incentive that lowers your purchase price. For example, if the price of your new Toyota is $30,000 and you have a rebate that lowers the price to $28,000, expect to pay sales tax on the $30,000 figure. Sales tax on your trade-in depends on your state's rules. Some states subtract the value of the trade-in from the new vehicle before assessing the tax. If your state is one of them, such as Alabama, Colorado, Florida, and New York, check your bill of sale to ensure the car dealer has given you the proper credit, because that can make a big difference on your out the door price. So if you had a $5,000 credit for your trade-in on a new $30,000 Toyota in Florida, your sales tax is based on $25,000, not $30,000. Depending on your state, average registration fees can cost less than $40 to more than $1,000. Check with your Department of Motor Vehicles (DMV) to be sure you're not being overcharged. Document fees can range in the hundreds of dollars. States such as California, Illinois, New York, and Maryland cap their doc fees. In Illinois (as of 2019) the maximum documentation fee is $179.81. The state adjusts the fee annually, based on changes in the 12-month Consumer Price Index. In more than 30 states, including New Jersey, Massachusetts, Florida, Texas, and the District of Columbia, there are no caps. 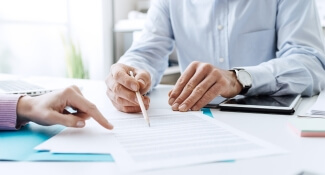 If you're shopping for a new car in a no-capped document fee state and think the fee is too high, the best use of your time is making a good deal on the price of the car, rather than trying to negotiate the doc fee. When you look at the invoice price of the car, you might see an advertising fee, which is a charge the manufacturer imposes on the dealer, and that the dealer charges you. That's legitimate, but what some dealers do is tack on an additional charge for an advertising fee, including it in the sales contract as a way of offsetting their own advertising costs. Challenge this additional charge and ask for it to be removed, or bargain for a lower car purchase price. Automakers charge a fee, called a destination charge when they transport new cars from the assembly plant to dealerships. The fee appears on the dealer invoice and this is a legitimate fee that car dealers pass this upfront cost to buyers. However, watch out for double billing and check your bill of sale for an additional charge. You shouldn't be charged twice, and if you are, object and have it removed. Dealer preparation is a fancy way of saying the dealer checks the tires, fluid levels, and washes the new car. It's necessary but it shouldn't be costly. If you see a charge of hundreds of dollars for dealer prep, ask that it be lowered or ask for an additional concession on the final price. Etching your new car's vehicle identification number (VIN) into its windows is an excellent anti-theft measure, one that insurers and law enforcement agencies encourage. But it's not required. So if a dealer has already done it, you're likely in a position to negotiate to have it removed or the fee significantly reduced since it was done without your consent. If your dealer does it for you, expect a charge of hundreds of dollars. To keep your out the door price as low as possible, take this fee off of your bill and look for an alternative provider for this service, such as your local police department or a do-it-yourself kit for about $30. Car dealers like to sell new car purchasers extended warranties (beyond what coverage comes standard on the new vehicle) because they add big profits to the OTD price. These additional warranties aren't required so you don't have to buy the extra coverage when you purchase your new car. If the dealer is trying to sell you an additional warranty, it's a good idea to take it off and spend some time comparing coverage between it and other aftermarket warranties. If you choose an extended warranty, experts recommend coverage backed by the automaker or a well-respected third-party company. If your car has fabric seats, some car dealers may want to tack on fabric protection and charge several hundred dollars for it. Opt for buying a can or two of Scotchgard, apply it yourself, save your money. 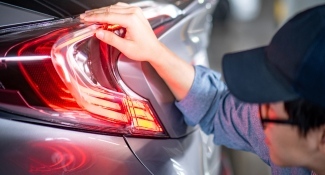 Car dealers have another way to pad the bottom line of car prices, which is offering paint protection for several hundred dollars. But with the improvement of paint finishes, the dealer's service here is not more than a glorified waxing. Purchase your own paint sealant for about $10, do it yourself, and pocket the difference. If you're buying a top-selling model, you may see an additional dealer fee or add-on to boost their profit. Although you can request that they remove or reduce this fee, if there's high demand for that vehicle, the dealer might not budge. It's usually perfectly legal for them to charge an additional fee here if a customer is willing to pay it. Your 'out the door' price has components that you can control to keep your price low. Don't be shy about asking the car dealer for what you want and making it clear what you don't need. Always remember it's your money, and another car is always waiting in the wings or at another dealership. AutoCheck vs Carfax - Which One Should I Use? Autolist offers the largest selection of new and used cars in the United States (larger than Craigslist and Cargurus). Whether you're looking for a cheap car or truck, use our tools to analyze car prices, read reviews, research pricing history, and search over 24,000,000 listings.